The Google I/O announcement everyone is buzzing about is their new data pipeline service. 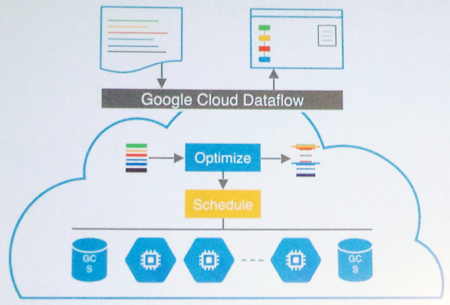 Google Cloud Dataflow means ingesting, transforming, and analyzing big data in the cloud just got a lot easier. Even better, Tableau users already leveraging the power of Google BigQuery will be able to take full advantage of Dataflow to ease their heavy data lifting headaches. If you're already using Tableau to connect to Google BigQuery, Dataflow will now give you the power to prep and clean your data before it gets written to BigQuery. Dataflow will also be able pull data from BigQuery and perform any number of blending or analytical functions before writing the modified results back into Google BigQuery. All of this means cleaner and more analytically rich data living in your BigQuery deployment for Tableau to help you visually explore. The timing couldn't be better either since as part of our Tableau 8.2 launch last week we rewrote our native connector to Google BigQuery to include parallel query computation. Translation: Tableau + BigQuery is faster than ever. For more information on Google Cloud Dataflow, be sure to check out the announcement on the Google Cloud Platform Blog as well as stay tuned for further announcements and details happening at Google I/0. 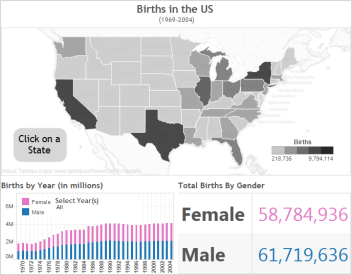 See how easy it is to use Tableau with Google BigQuery, on our solutions page. Yes me too I can't wait for the Big Query connector to be fixed in tableau 8.2! Goooooooooo tableau fix it!